In our weekly look at the waiver wire in fantasy basketball, RotoBaller Brad Leibfried gives us some in-depth NBA analysis about which guards to target off the waiver wire, and which guards to continue scouting. 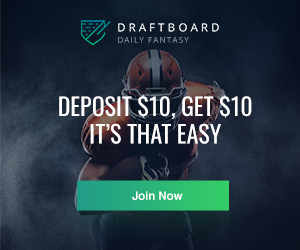 Fantasy owners would do well to check out Brad's Week 9 Forwards & Centers Pickups, as well. 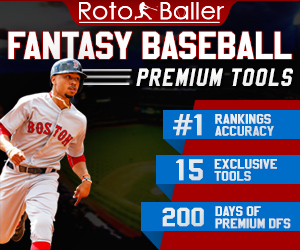 RotoBaller covers the best fantasy basketball waiver wire pickups each week, so stay tuned! 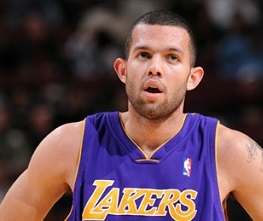 Jordan Farmar: With news that Kobe Bryant is out another six weeks with a fractured knee, Farmar becomes an instant add. The caveat with Farmar is that he is also currently injured and will also be out another week. However, assuming he can make it back next week, Farmar should instantly take over the point guard role for the fast-paced Lakers. Prior to his hamstring injury, Farmar had been putting up solid numbers. He has games of 22/8/2/1, 15/3/4/2 and 13/3/5/1 in points, assists, rebounds and steals. With little to no playmaking at the point guard spot, Farmar should be able to jump back in right away, and with 30 minutes of playing time he should approach 13 points, 7 assists and 2 three-pointers per game. For a player on the waiver wire, you really can't ask for much more. Additionally, considering the fact that Steve Nash, Kobe Bryant and Steve Blake are all out at least a month, that will give Farmar plenty of time to get in a rhythm. Giannas Antetokounmpo: The Greek Freak has finally been released in Milwaukee. With a rash of injuries to their backcourt, coach Larry Drew has played Antetokounmpo nearly 34 minutes a game over the past week. In that time, he has posted solid all-around solid numbers of 10.3 points, 8.3 rebounds, and 2.3 assists. At the guard position, he can offer tremendous rebounding and blocked-shot value as his 6’9” frame can cause a ton of problems for opposing guards. The 19-year-old rookie has been a bit inconsistent from the field this year, but he has managed to shoot 50% from the floor and 67% from the free throw line. Over the past week, he has shot 43% from the floor, but complemented that with a spectacular 90% from the line. Even though Antetokounmpo will have games in which he struggles, his upside and ability to help in every stat category make him a must own in all leagues. Beno Udrih: Another player who has taken advantage of injuries is Udrih. With Raymond Felton and Pablo Prigioni both hurt, Udrih has assumed starting role and played solidly. This was capped off Wednesday with a game in which he posted 21 points, 5 assists, 4 rebounds and 2 steals. The rumors that the Knicks were on the verge of acquiring Kyle Lowry now look to be little more than speculation, and the team seems set to play Udrih until further notice. A career backup, Udrih has proven that in short stints he can be a more-than-serviceable fantasy option. He may not be a huge contributor for long, but in the short team he should be picked up in nearly all leagues. Jeremy Lamb: After losing Kevin Martin in the offseason, the Thunder had high hopes that Lamb would fill Martin's role. Over his past six games, Lamb has averaged 12 points and 3 rebounds. He's put up these numbers on the strength of a respectable 24 minutes a game. Even though he will never be a featured option, Lamb has shot well enough to continue seeing solid playing time. If he can increase his 1.3 three-point makes a game, he may creep closer to the 30 min. per game mark. Xavier Henry: Jordan Farmar may be the long-term solution at the point guard for the Lakers; nevertheless, Mike D'antoni announced today that Henry would be taking over starting point guard duties until Farmar is back. Henry has played the best basketball of his career this year as he is scoring 10.9 points, 2.7 rebounds and 1.2 steals per game. If Henry can show some playmaking ability he may earn himself more time even when Farmar is healthy. 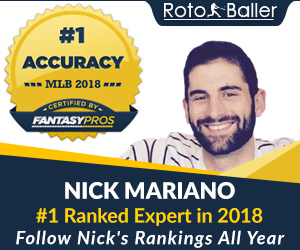 Check out Brad's Week 9 Forwards & Centers Pickups, and be sure to come back next week as RotoBaller will continue to look at the best fantasy basketball waiver wire pickups for you to own and scout.